The best way to reach us is through the e-mail addresses shown below. 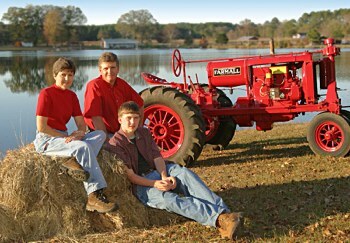 If you see us at tractor events around the southeast, or half-a-mile back in Little River, let us know you saw our site on the web! We enjoy "talking shop", so don't be shy! 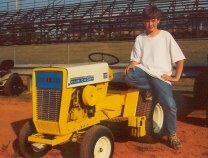 His first pull with it was in October 2000 at the Fall Harvest Days near Asheville, N.C.
for just putting up with us! through whom we do all things!